Speaker, Municipalities’ Guide to J.U.L.I.E., hosted by Illinois Municipal League Risk Management Association, 2015 Annual Conference (May, 2015). Article, Municipalities’ Guide to J.U.L.I.E., published in “IMLRMA Today” (September 2015). Speaker, Abolishing the Public Duty Rule, hosted by Illinois Counties Risk Management Association, 2016 Annual Conference (September, 2016). Speaker, Streets, Sidewalks, Sewers, Parkways and More, hosted by Illinois Counties Risk Management Association, 2016 Annual Conference (September, 2016). 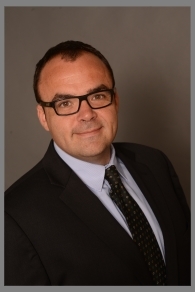 Kevin M. Casey is a Partner and has been with the firm since 2012. Kevin handles litigation in both federal and state courts, with a primary emphasis in the defense of matters brought against public entities, including §1983 liability and personal injury suits. Having been engaged in the practice of law over thirteen years, Kevin has extensive trial experience and has taken to verdict a multitude of civil matters with favorable outcomes for his clients in over 85% of these cases. Additionally, Kevin has frequently obtained favorable rulings for his clients on dispositive motions. Lovell v. City of Washington – Jury verdict in favor of City in slip and fall lawsuit in Circuit Court of Tazewell County. Burrell v. Sauk Village, et al. – Summary judgment in favor of Defendants in malicious prosecution lawsuit in Circuit Court of Cook County. Douglas v. South Holland – Summary judgment granted in favor of Defendant Village in product liability/premises liability claim in Circuit Court of Cook County. Little v. Bourbonnais, et al. – Dismissal in favor of Defendant Village in wrongful death lawsuit in Circuit Court of Kankakee County. Johnson v. LaSalle County, et al. – Summary judgment in favor of Defendants in Section 1983 civil rights claim alleging excessive force in United States District Court for the Northern District of Illinois. Chriswell v. Oak Lawn, et al. – Partial summary judgment granted in favor of Defendants in Section 1983 civil rights claim alleging excessive force in United States District Court for the Northern District of Illinois.